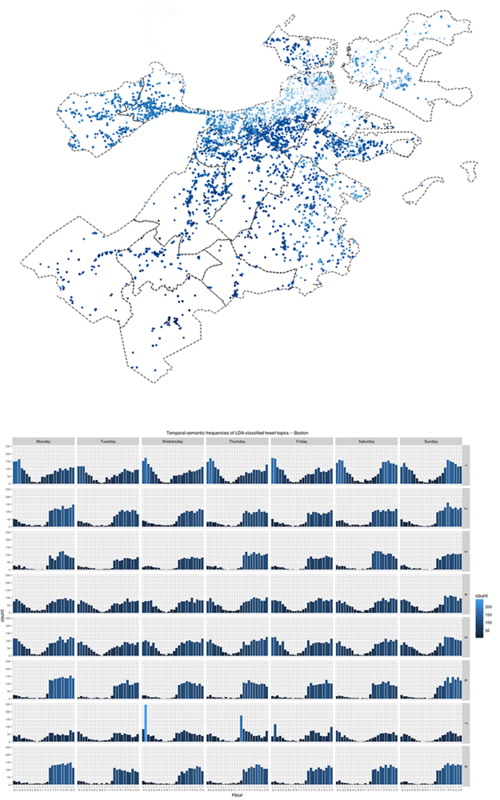 In the context of contemporary cities and increasing urbanization, Social Data comprise a precious and untapped source of information about spatial, temporal, and social aspects of the activities, movement, and social connectivity of people. Social Data are produced in large amounts by emerging sources such as sensors, mobile phones, geo-enabled social media, and location-based social networks (LBSNs). Together, they provide an exciting reflection of the human landscape. Besides the various opportunities of Social Data, their large volume and “human-oriented” nature also brings unprecedented challenges, relating to their inherent heterogeneity, lack of structure, ambiguity, and bias. With SocialGlass, we envision a new generation of real-time Urban Computing systems that are able to scale over large amounts of social data, while maintaining the quality of human understanding in the loop. Our work contributes new methods and tools for human-enhanced social data acquisition, integration, enrichment, analysis, and visualization. SocialGlass can be a game-changer solution for Urban Data Science and GeoComputation. We have demonstrated its capabilities in various real-world use cases, relating to real-time urban analytics of human mobility behaviour at SAIL 2015, the description and prediction of traffic incidents, the geodemographic characterisation of city areas, and the regionalisation of social interaction across various urban and regional systems, among others. By combining machine learning and data science with human computation and user modelling, we are currently investigating how SocialGlass can help improve the study of human mobility and migration, energy consumption behaviour, social area analysis, and societal inclusion. Our aim is to create powerful digital reflections of urban interaction at scale from dynamic, sparse, and ambiguous data sources, by combining expertise from Data Science, GeoComputation, Applied Spatial Analysis, and Human Computation.